The headlines, rightly focused on the gay breakthrough, have elided that second amazing fact. 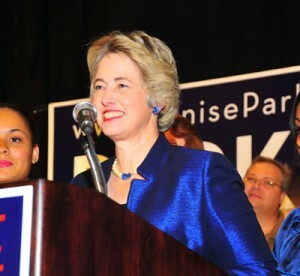 Parker’s ascension also makes Houston the biggest U.S. city with a substantial history of female leadership. Today, of the 50 biggest U.S. cities, only three have women mayors. That’s three. Along with Houston, there’s Baltimore and Fresno, Calif. By comparison, six states currently have female governors, and women hold 17 percent of the congressional seats. Not big numbers, but more than the mayors. Thirty of the 50 biggest cities have had a female mayor at some point (Seattle, the trailblazer, elected one in 1926), 12 have had more than one (the biggest of those are San Antonio, Dallas, San Diego and San Jose, Calif.), and 20 have had none. That’s 40 percent. As it happens, women leaders often do introduce change, both because they know some things from experience that their male counterparts do not (like the need to support families and workers) and because they’re often able to see the possibility of stepping outside established patterns, as with Whitmire’s appointments. Why do so few women run? Because they aren’t often asked, and, when they are elected, the insistently masculine political culture chases many of them off. Women’s low rate of participation in business leadership roles (just 3 percent of Fortune 500 CEOs are women) also affects political participation, since the two often intersect. Women are not at parity in Houston, but this year we’ve moved a bit ahead in the slow trickle up that has characterized the national progress of women in government and business over the past 30 years. Because nationally the family support infrastructure hasn’t changed (good affordable child care is still only available to a few), women all over haven’t been able to move in sufficient numbers into positions where they could change it. 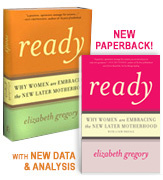 But women are building toward the critical mass that changes the dynamic. Is Houston a liberal town, as my friend now thinks? Well, sometimes. This politically and socially diverse city has elected effectively Democratic mayors for the past 12 years — but the area is also home to George H.W. Bushand Tom DeLay. The city’s history as a wildcatting town, open to people making their own fortunes, along with the relative brevity of its big city status, means that on many fronts there are fewer social barriers here than in apparently more progressive places. Is Houston a business town? Pretty much. Not surprising that in a recession the nation’s energy capital, a teeming metropolis with growing numbers of citizens to employ, would elect the candidate who presented herself as most fiscally conservative and responsible, open to innovation where appropriate and with a proven track record as city controller and council member. “I’m going to be the mom telling you to eat your vegetables and you don’t get dessert. I’m trying to make sure you have enough food to eat,” Parker told the city the day after the election. In hard times, the frugal housewife saves the farm. Mom as fiscal disciplinarian. Not the metaphors the headlines might have led the nation to expect, but not a surprise in Houston, where Parker’s been out so long her sexual orientation turns out to be immaterial. She’s been with the same partner for 19 years. Her kids are well-behaved. Pretty ordinary stuff, even boring compared to the high jinks the straight politicians entertained us with last year. So why not put to use the skills and knowledge she’d developed on our dime in her last 12 years in office? The voters turn out to be more open-mindedly pragmatic than the pundits expect. Parker’s election throws down the gauntlet to all cities to expand their resource base by actively advancing more women and minorities through the public service and business leadership pipelines — and then drawing on that experience and electing them mayor. Regularly. While firsts in all categories (gay, black, female, Latino, Asian) are important, it’s the seconds, thirds and so forths that give real traction to change.